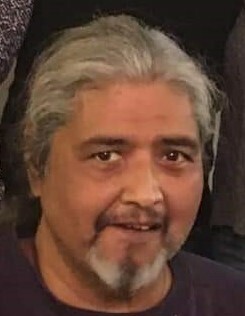 Angel Balderas (Delray), 59, a husband and family man who was a Baker and enjoyed photography, went to be with our Lord Tuesday, February 5, 2019 in Fort Worth, Texas. Visitation 12:00 p.m. to 3:00 p.m. Thursday, February 7, 2019 at the Hawkins Family Funeral Home Chapel with Rosary at 2:00 p.m.
Angel was born on October 5, 1959 to Jose and Sara (Siller) Balderas in Del Rio, Texas. He united in marriage to Dianne (Schloer) Greer on March 25, 1996 in Fort Worth, Texas. He was a very loving and caring person, who cared dearly for his family. He enjoyed having family and friends around and creating new memories. He was a friend to everyone who knew him. Angel enjoyed the fun filled hobby of photography and sharing his pictures with his family and friends. He was proceeded in death by his parents and son Patrick L. Greer Jr.
Those left behind to cherish his memory are his wife of 22 years Dianne (Schloer) Greer of Fort Worth; his son James Michaels of Frisco, his daughter Karen Martinez of Fort Worth; Grandchildren: Olivia Martinez and Victor Hugo Martinez Jr; his sister Victoria Humberd of Del Rio; his brother’s Joe G. Balderas & wife Cande of Fort Worth, David Balderas of Del Rio, Alex Balderas & wife Terri of Del Rio, Ruben Balderas & wife Irma of Del Rio, Luis Balderas & wife Lorena of Del Rio; his sister Sara Hager & husband George of Richland, Washington and many extended family members and a host of friends.